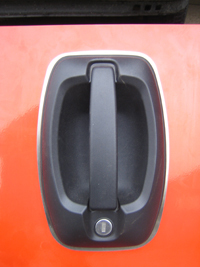 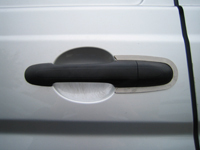 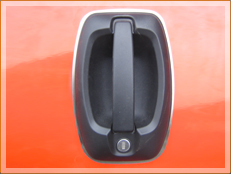 The ProPlate is a clever design, developed to help protect the vulnerable areas of standard van manufacturers door handles, which are often exploited by thieves. 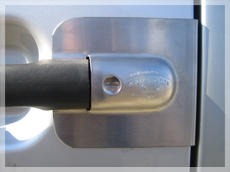 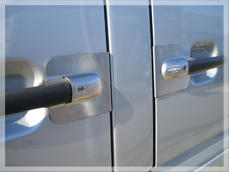 ProPlate is made from stainless steel and fits behind the van door lock handle, making it stronger than the "stick-on" options that are available. 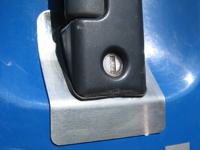 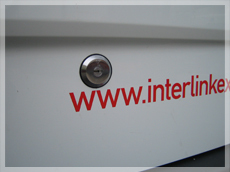 On many vans, ProPlate includes an internal deflection plate to shield the lock mechanism from the determined thief, aware of of the specific vulnerabilities of the van lock. 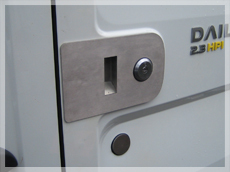 ProPlate van lock plates are ideal for those who have had damage caused to their van door lock, as they can often repair and cover any damage caused by a break-in. 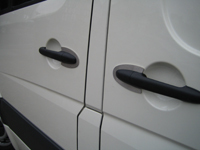 Our expert mobile fitting service means that you can get ProPlate supplied and fitted to your van at home or your work place. 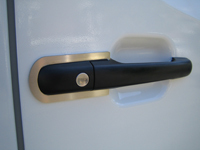 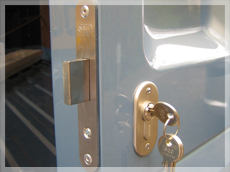 The ProPlate is available for most van door locks. 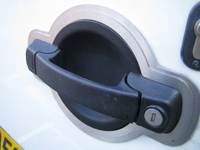 To find out if there is a ProPlate available for your van lock please contact us.